This week we are focussing on what factors influence purchasing decisions for consumers buying big ticket items online. As you can see, by far the most important method of consideration our panel used was looking at the product in detail on the retailers website (78.31%). This was over and above looking at the product in store (60%.) This shows that contrary to popular belief, there are a growing number of people who are prepared to buy furniture having not seen the product in real life. Next came the researching of price(46.99%) which showed us that price does have a role to play when consumers are buying big ticket items and are still keen to get a good deal. 38.5% of our panel members use customer reviews as a decision making aid. Reviews play a key role in giving consumers security in their purchase decisions and they are even more important when spending larger amounts of money. 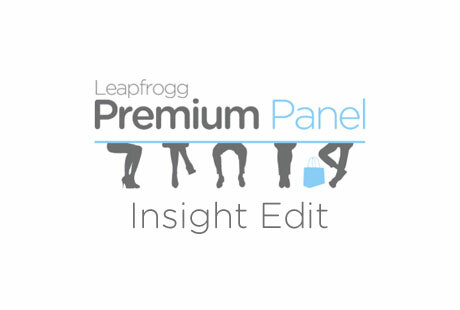 The consideration methods that our panel used the least when buying furniture was reading bloggers opinions and reviews (13.25%). This suggests that this sector is less swayed by influencers than other premium sectors such as fashion. Engaging on social media also held less sway in the purchase journey with only 8.43% using social media to influence their decision to purchase. To conclude, having a strong, clear and engaging website with high quality imagery is paramount for furniture retailers. Investment should be made in ensuring the website is user friendly and easily found before other forms of engagement such as social media, blogger PR etc. 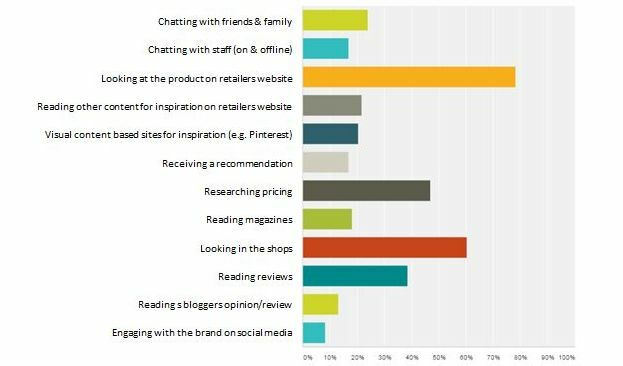 Please see our recent report of Customer Engagement in the Retail Sector to find out which furniture retailers are doing well to engage their customer base during all stages of the buying journey. I do think that if interior designers buy from that site, the authority and confidence they offer is invaluable for conversion. I would be keen to understand the influencer comment in more detail.